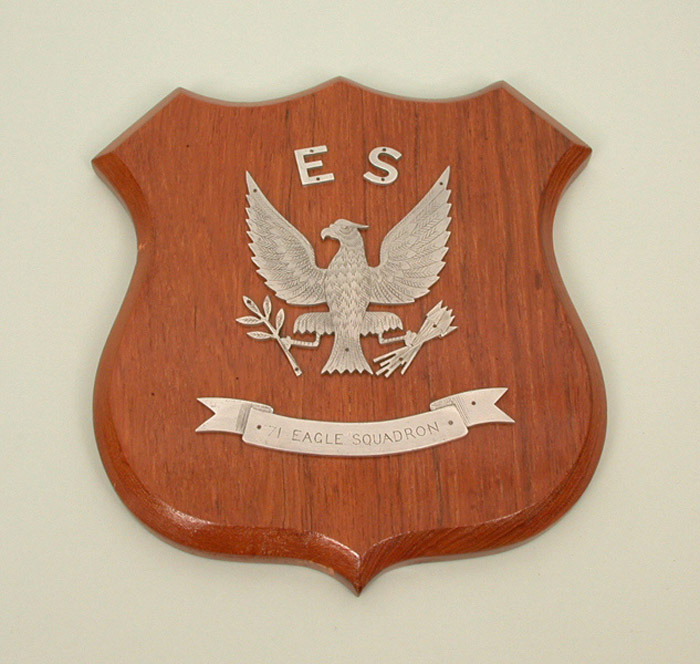 The first Eagle Squadron, No.71, was formed on 19 September, 1940, at the height of the Battle of Britain. Six of the original members were already members of the RAF. 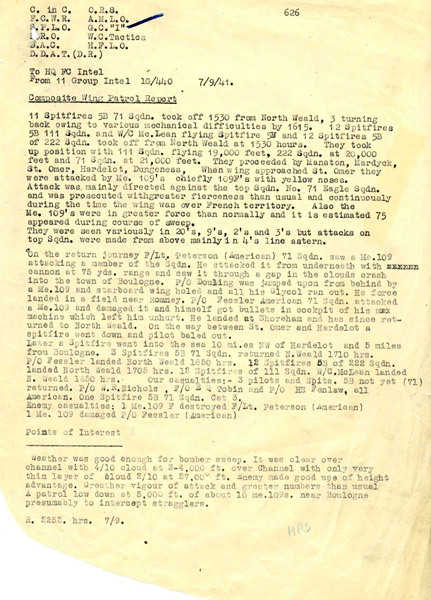 Eugene Quimby 'Red' Tobin, Andy Mamedoff, and Vernon Charles 'Shorty' Keough had all been in France, had escaped, and had subsequently seen combat with No.609 Squadron. 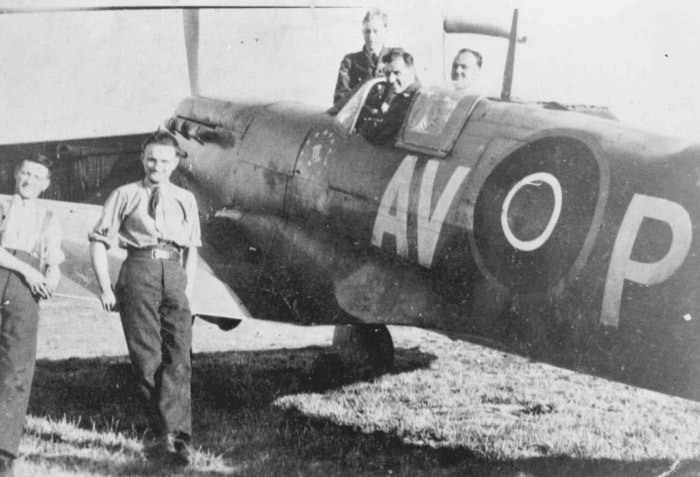 Gregory 'Gus' Daymond had also been in France, but joined No.71 Squadron straight from training. Two other pilots also had combat experience: Arthur 'Art' Donahue with No.64 Squadron and Philip 'Zeke' Leckrone with No.616. The coming months were difficult for these combat veterans. Most of the Squadron had only just arrived from America, and were still under training. The Squadron was equipped with Miles Master training aircraft, although they soon began to receive out-dated Brewster Buffalo fighters. Within weeks Art Donahue had requested and received a transfer back to No.64 Squadron. Meanwhile a concerted effort was made to 'prang' as many Buffaloes as possible to speed up the conversion onto a more modern types, and in November Hawker Hurricanes began to appear. The squadron finally became operational on 5 February, 1941, flying defensive patrols out of RAF Kirton-on-Lindsay. In August they converted to Supermarine Spitfires, and began to take part in offensive patrols over northern Europe. By this time two more Eagle Squadrons had been formed. On 14 May, 1941 No.121 Squadron had been formed at RAF Kirton-on-Lindsay, and in July No.133 Squadron was established at RAF Coltishall. Both were equipped with Hawker Hurricanes. No.133 became operational first, in September, 1941, followed in October by No.121. Both units were bolstered with experienced personnel posted from No.71 Squadron. Both squadrons were initially put onto home defence duties, patrolling the coast line against German raiders or protecting convoys. 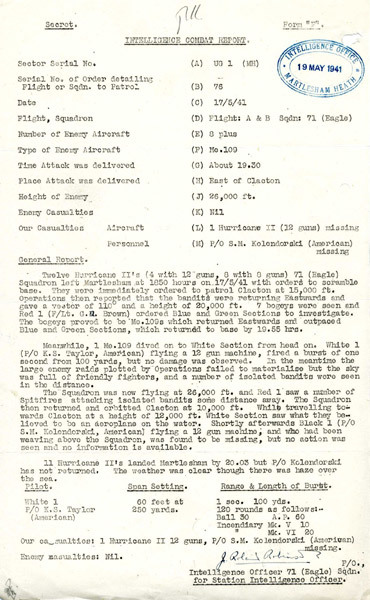 In October, 1941, No.133 began to receive Supermarine Spitfires, as did No.121 the following month.